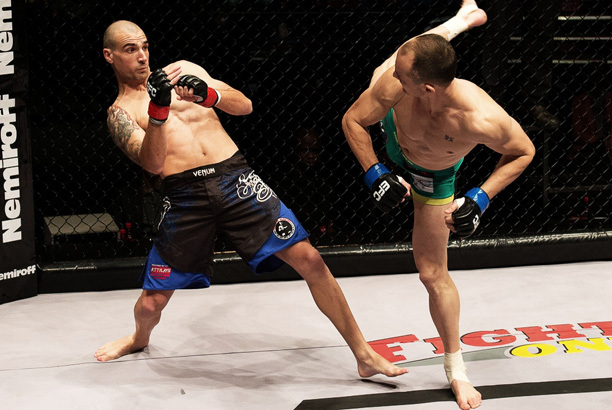 Johannesburg (South Africa) – Up and coming, hugely dynamic all round MMA fighter Frederich ‘Ninja’ Naumann will face gritty, powerful striker Johan ‘The Gun’ van Staden in a highly anticipated lightweight bout at EFC AFRICA 20. Winner of submission of the night with a startling, modified keylock at EFC AFRICA 19 Naumann is on fire, and focused on moving up. Hailing from Polokwane but having spent his teenage years in Johannesburg Naumann credits his highly developed skill set to close on ten years of kickboxing, before taking up MMA, and the guidance of his ground couch, Jan Roets, a man boasting a stable of 12 SA champion wrestlers. EFC AFRICA 20, presented by MusclePharm, takes place at the Carnival City Big Top Arena on 27 June 2013. Tickets on sale now at www.computicket.com. Tickets for the live broadcast to Nu Metro Cinemas available soon at www.numetro.com.